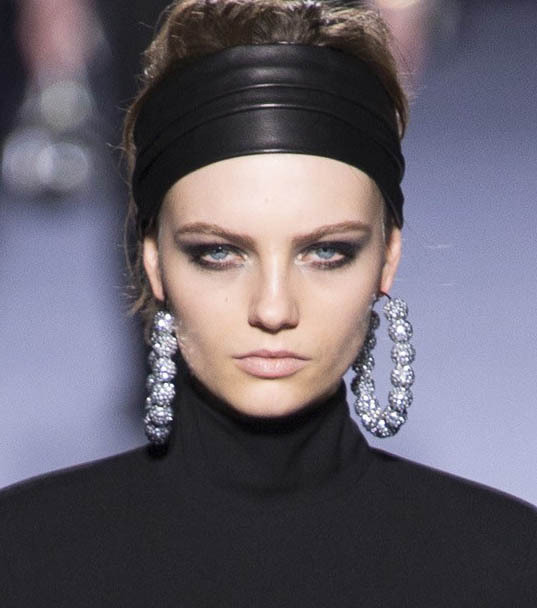 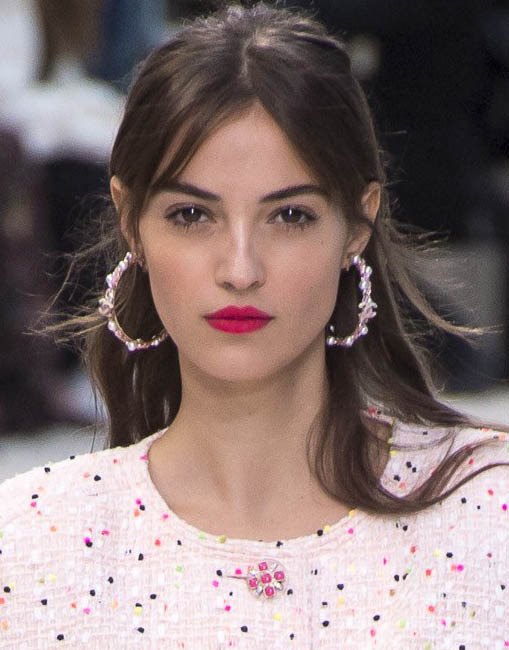 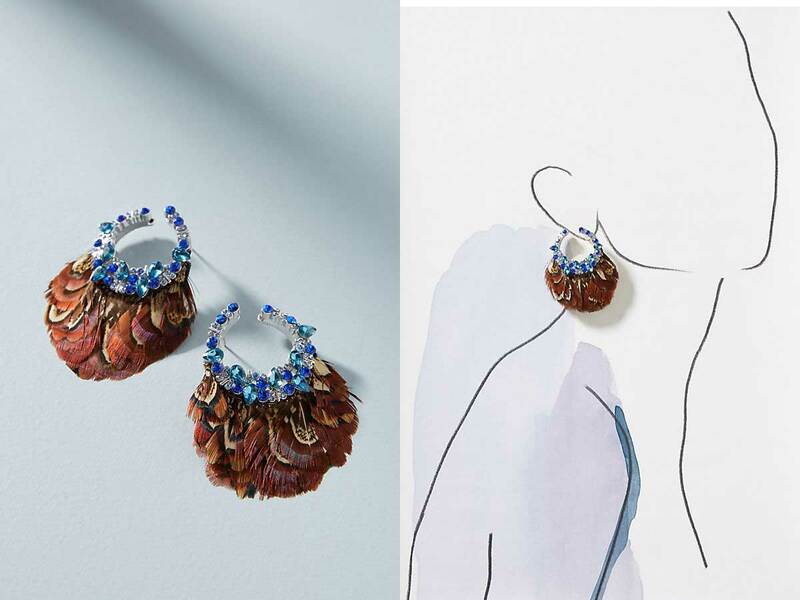 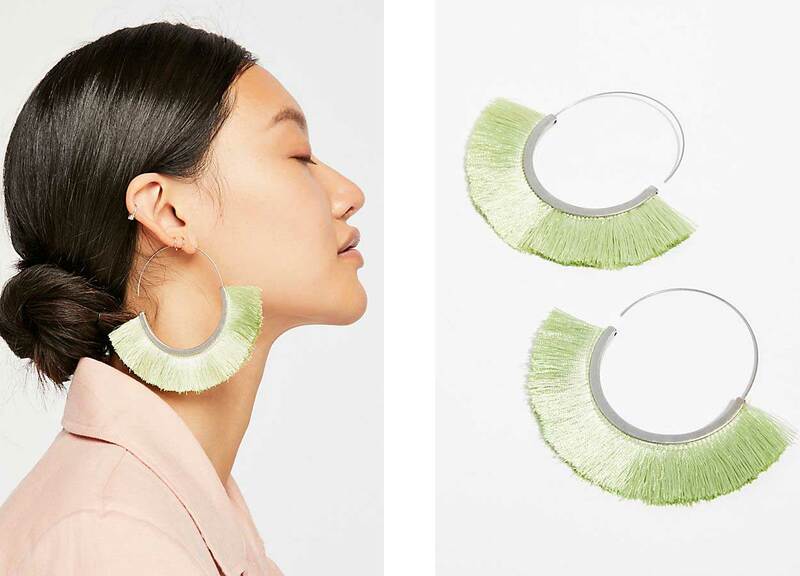 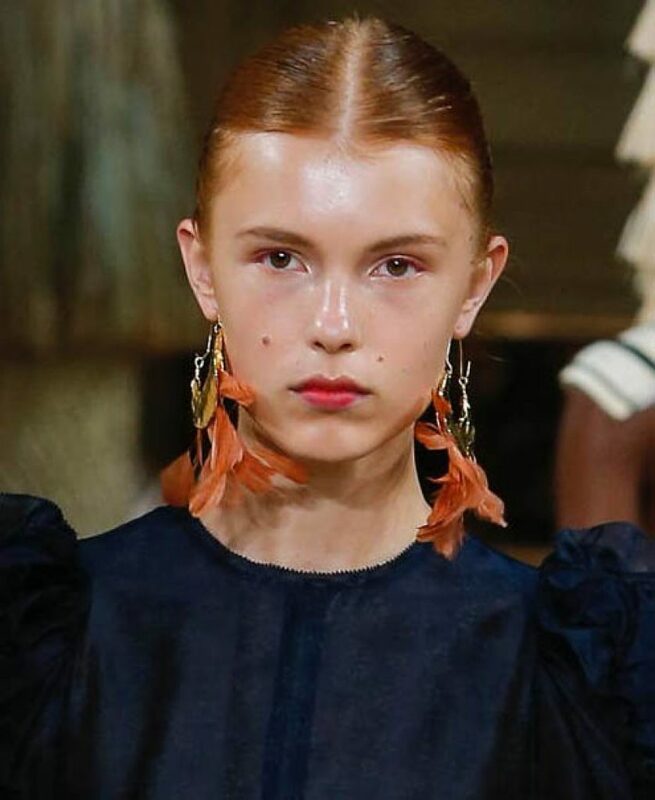 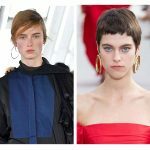 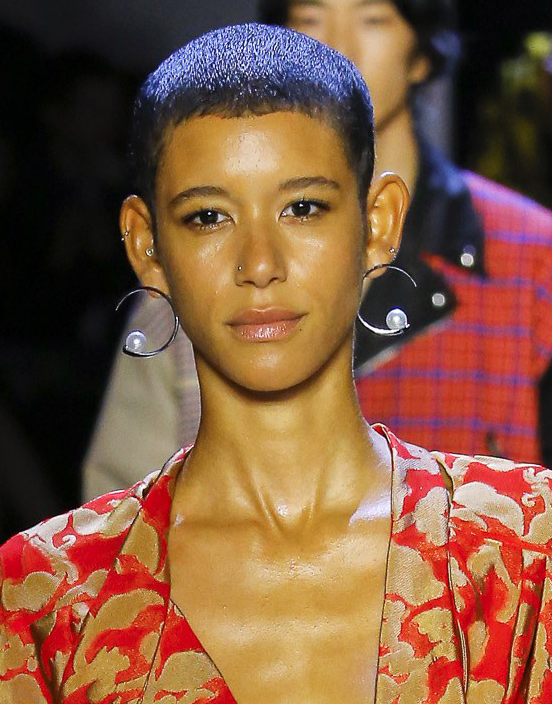 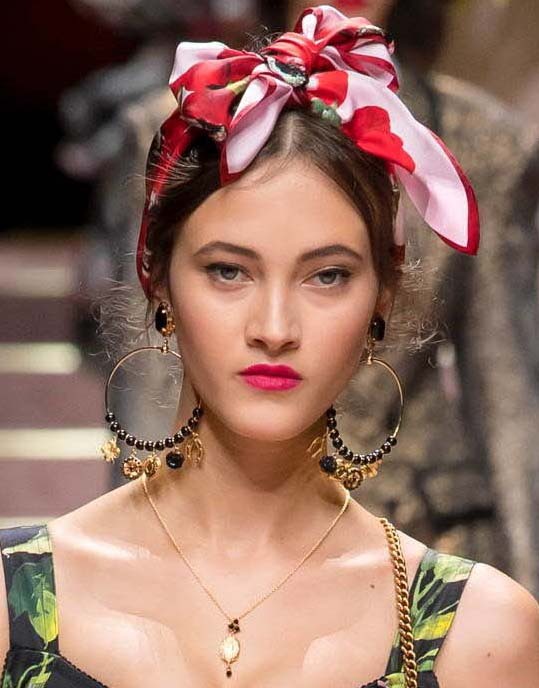 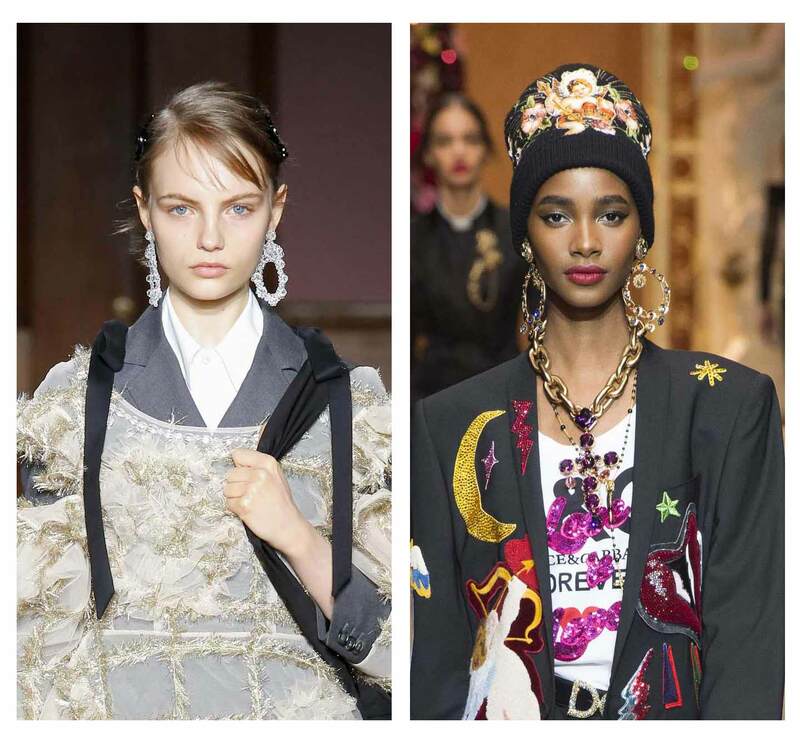 Bold, big and even off-beat hoop earrings were among the runway jewelry trends seen at fashion shows for the fall/winter 2018 and the spring/summer 2019 season. 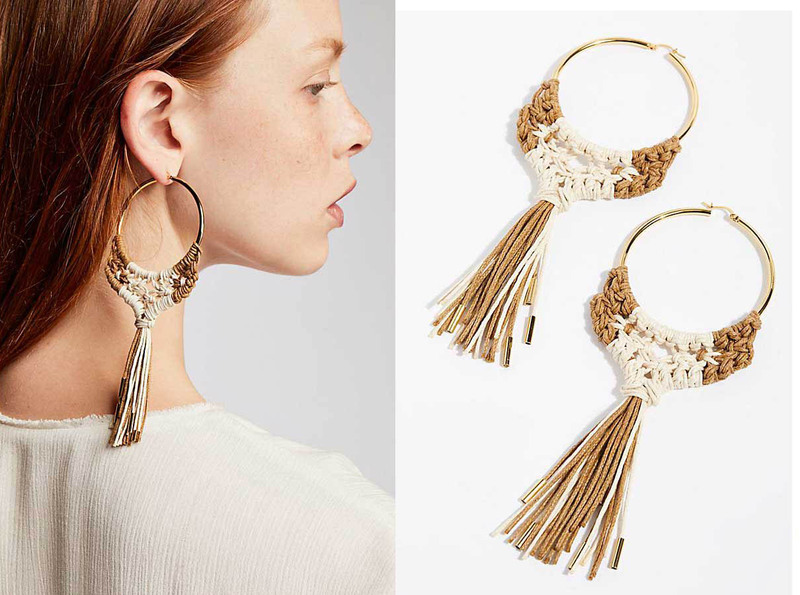 Hoop earrings can be encrusted with bling or embellished with charms – the variety is only limited by the imagination of jewelry designers. 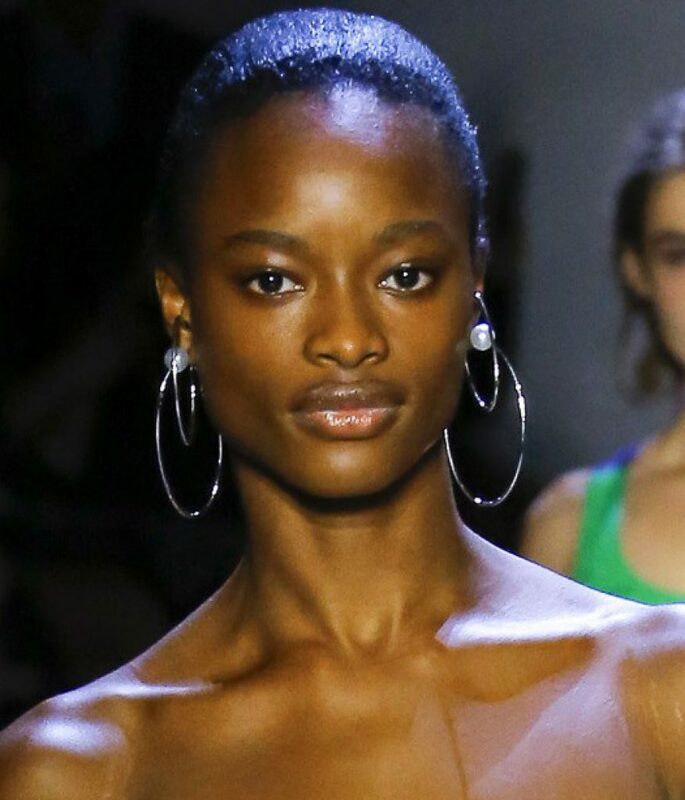 I’ve showcased a selection of hoop earrings inspired by runway jewelry. 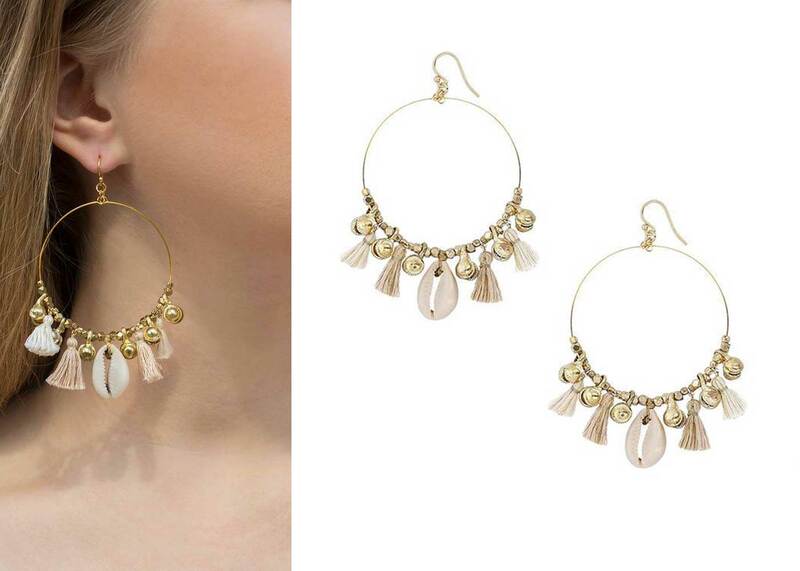 There are embellished hoop earrings at a range of price points so you’re sure to find some to fit your budget. 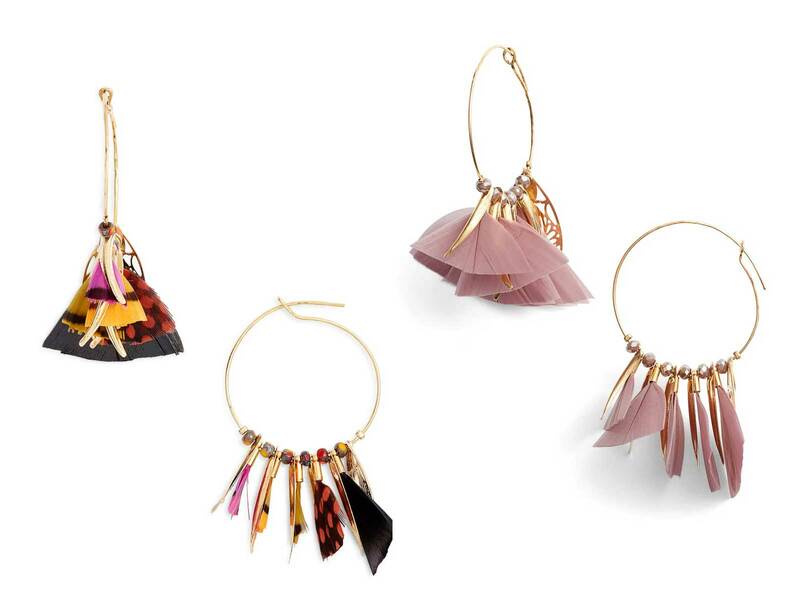 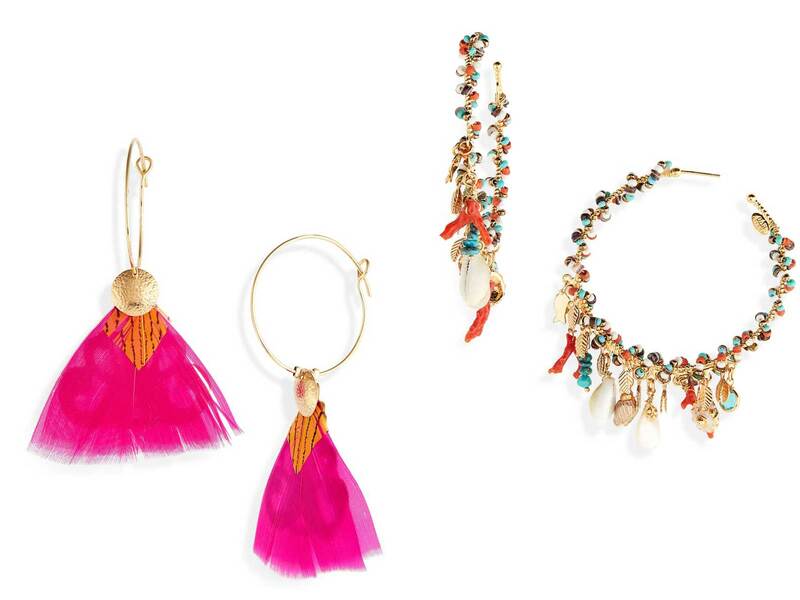 Feathers and charms add drama and fun to the classic hoop earring. 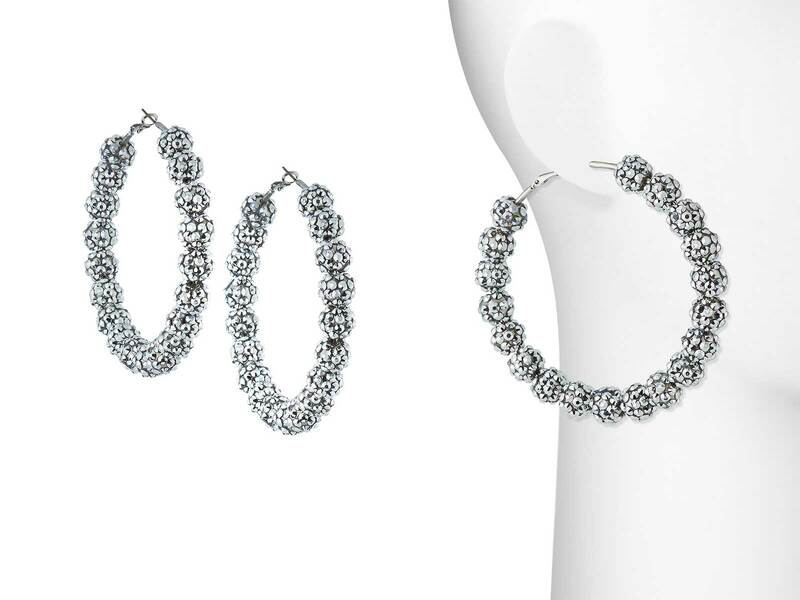 Combining hoops with charms and feathers also give expanse and movement. 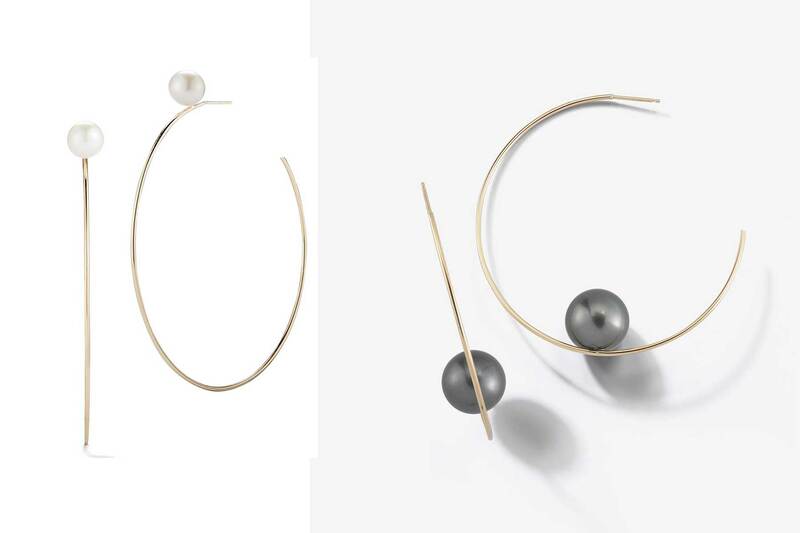 There is something elemental about a single pearl gracing the circle of a hoop earring. 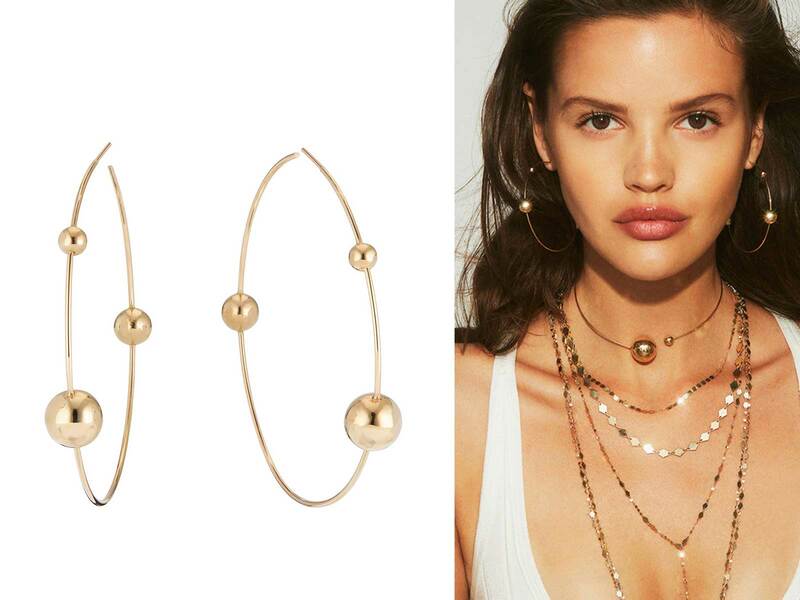 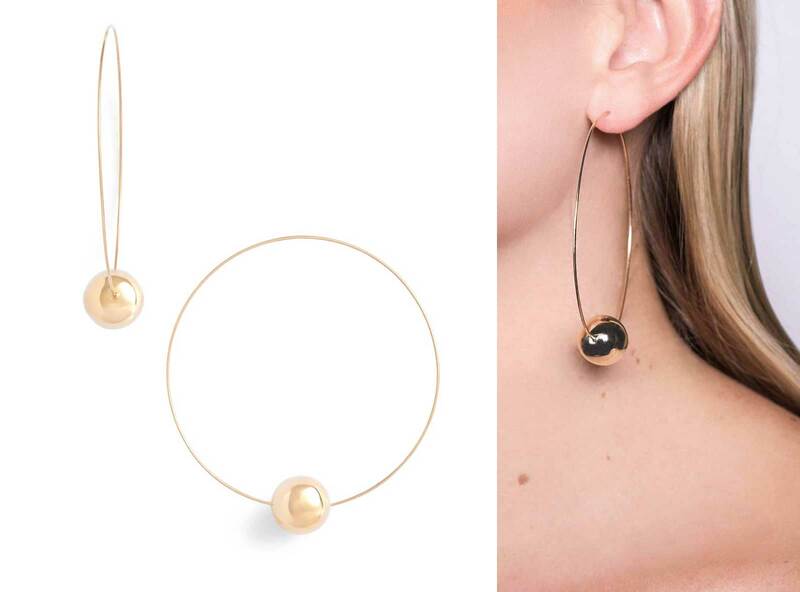 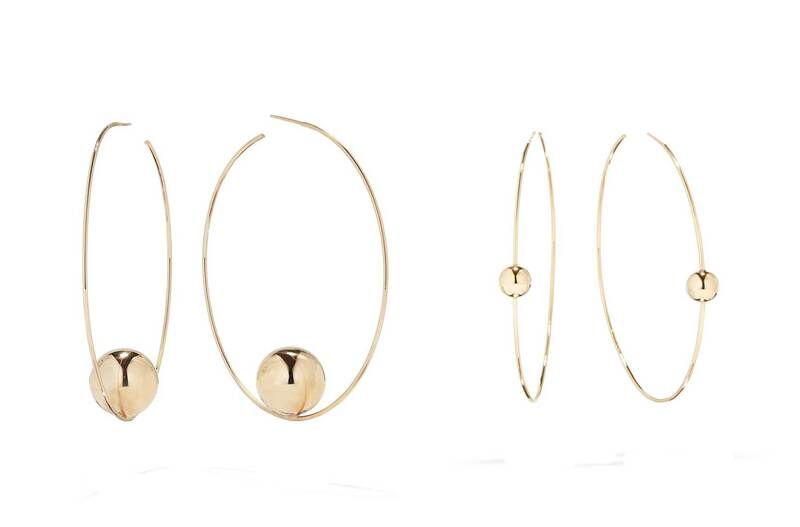 And a single gold bead accentuates the simple yet powerful circular shape of the hoop earring. 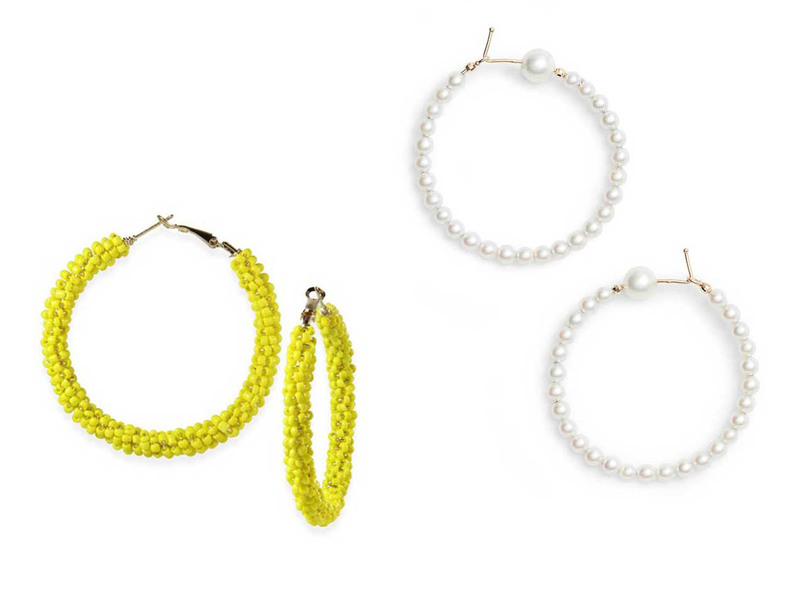 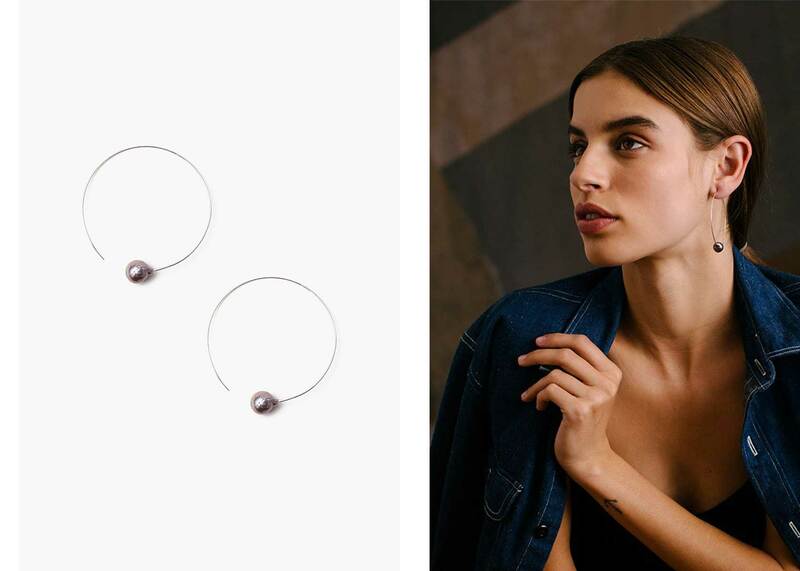 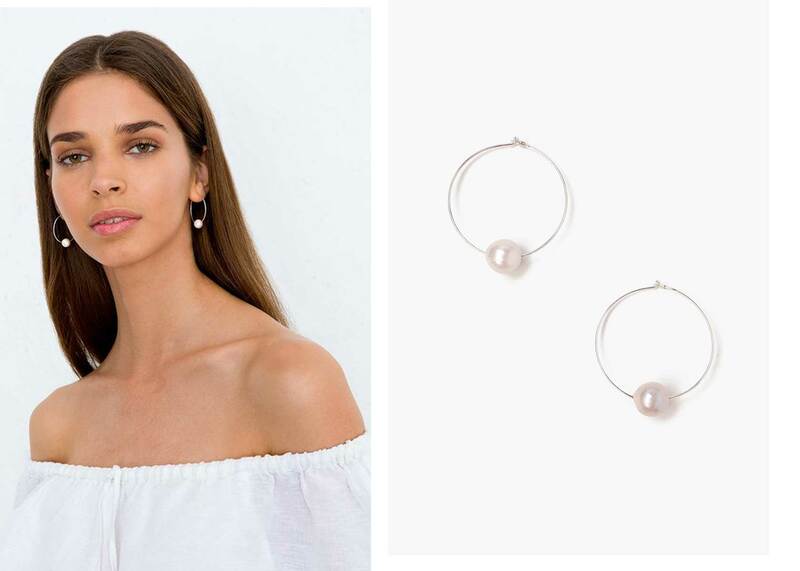 For both, a single bead or pearl adorning hoop earrings engender a look that is both minimalist and elegant. 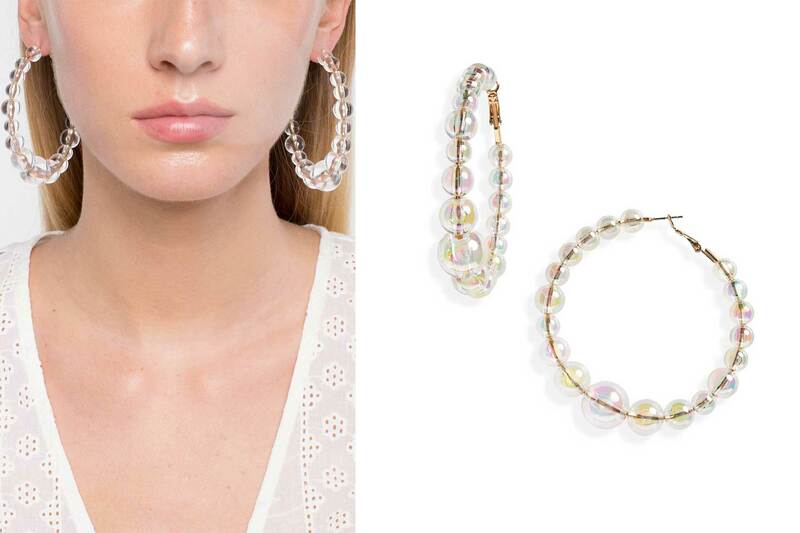 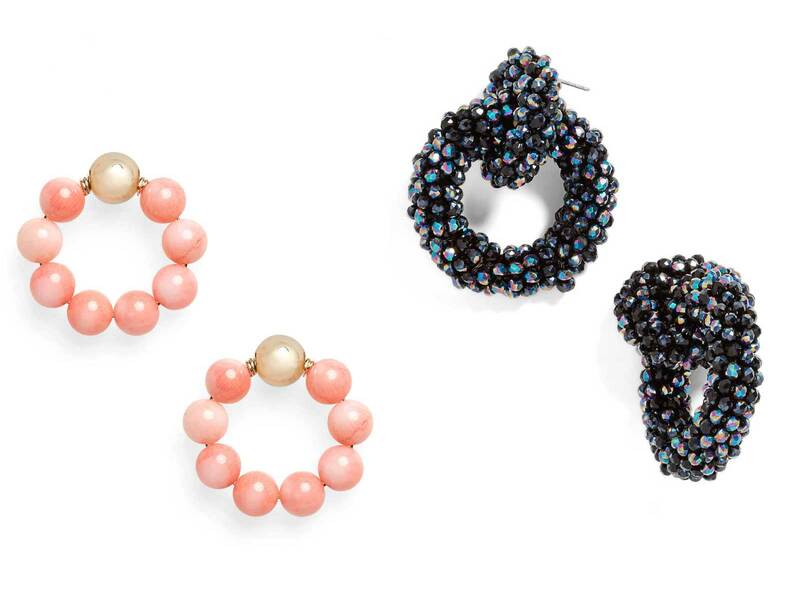 Bling and baubles add that extra bit of special to hoop earrings. 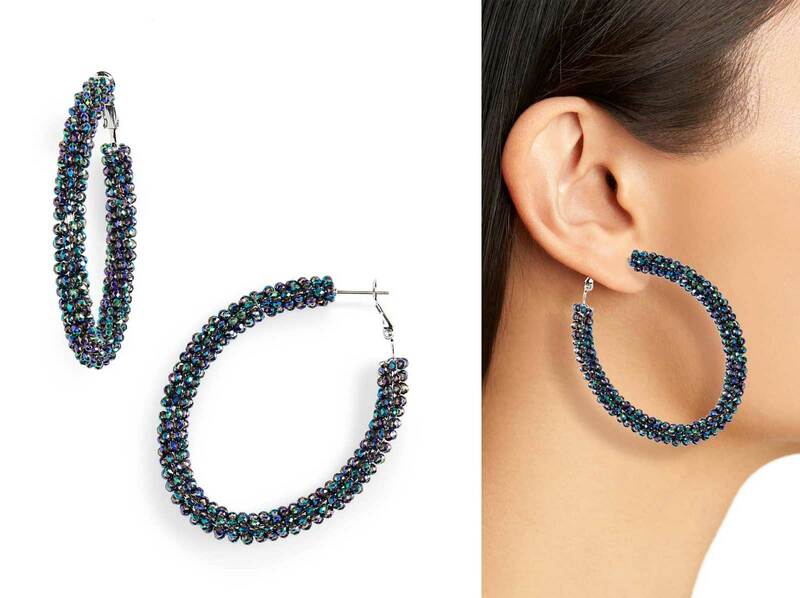 Pearls, gem stones and crystals on the entire hoop of the earring add maximum sparkle and/or color.